A coaster is something you have under you mug so that the table don't get stained. 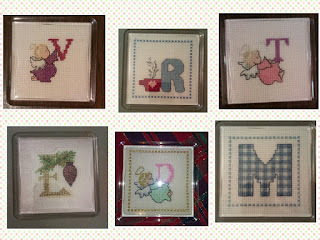 I have made many of these over the years in various crafts, it is one of my go to presents for when I am in a hurry or don't know the recipient all that well. It can be made very personal or for whomever. It can be made seasonal or for everyday use. In short coasters are very diverse. You can make a set of alike coasters, matching coasters or you can give one person coasters for different occasions because everybody likes a little seasonal decorations. My favourite mug with my favourite coaster. I have made a lot of crochet coasters in my crafting career, and you van't get away from the old mug rug type in crochet (knit, or sew), these are easily washed and usually made in cotton. 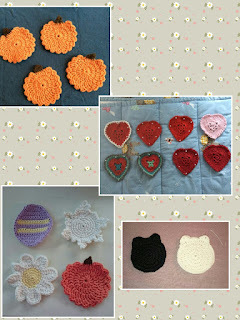 Here is a link of some of my favourite crochet coaster patterns on Ravelry. In just six months I made about 30, and gave away all but six, most were done using left over bits and bobs so they were family inexpensive. 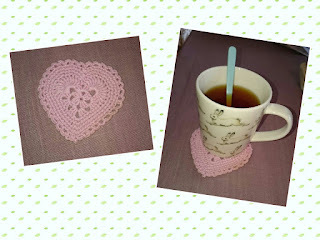 When I cross stitch my coasters I buy a plastic coaster frame, you can get one with a pattern or without, round, square, I have even seen a hexagon one. 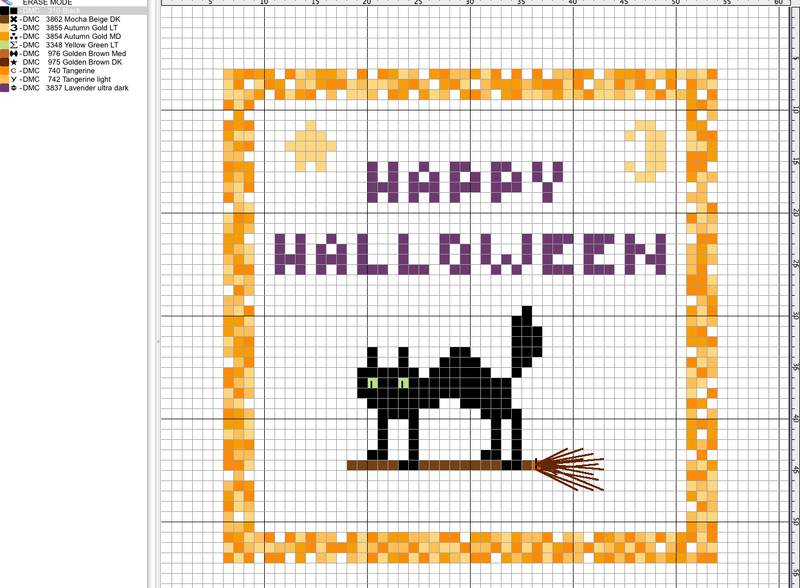 After you are done cross stitching (make sure your pattern fits into the frame before you stitch it) cut it to fit, use some clear glue (optional) and pop it into the frame. It can be removed at any time to be washed or changed. None of my plastic frames have melted yet so I am sure you can put you hot mug on it. 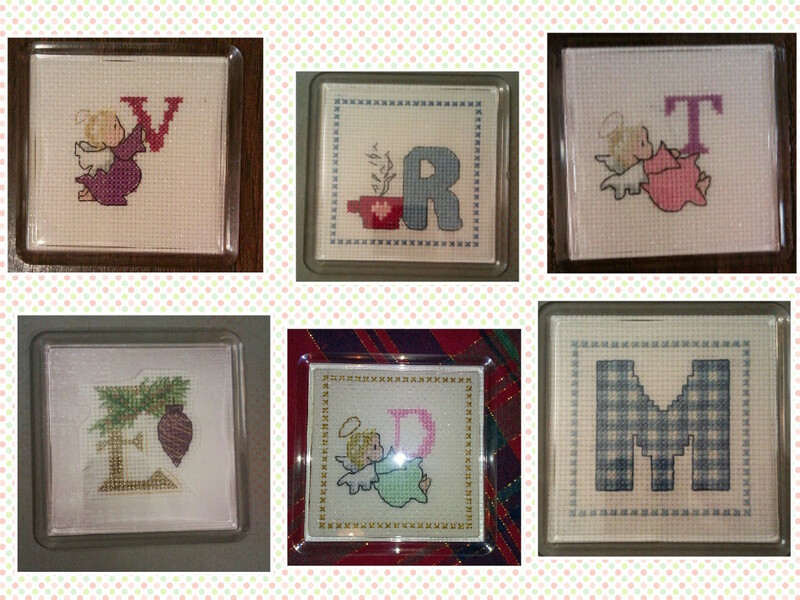 All of these are made as gifts made for the recipient, most of these patterns are from cross stitch magazines, they usually have an abc section in each magazine. The E is cut out and put on paper, so I think you can use the plastic frames for paper crafting of coasters too. The top design is one of my own with quotes from Star Trek. The yellow is made to look like the font used in Star Trek TNG while the red is from Voyager. 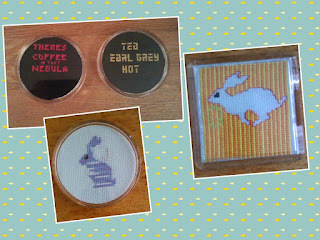 The bunny coasters are for bunny people with a initial on it, I didn't know these people very well, but I knew they were bunny people and I knew their names so I made coasters and gave them tea and chocolate in my swap. The bunny design is from a Cross stitch card shop magazine I think. As you can probably tell I love making coasters and some designs are more fun than others so I have made them several times. 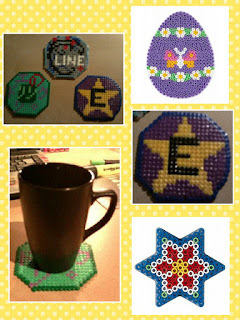 I have long wanted to do some coasters in Hama beads after my friend *Kio made some, the darker photoes are taken from her blog and the white ones are from hamabeads homepage. Today's letter is from a cross stitch pattern I have made. 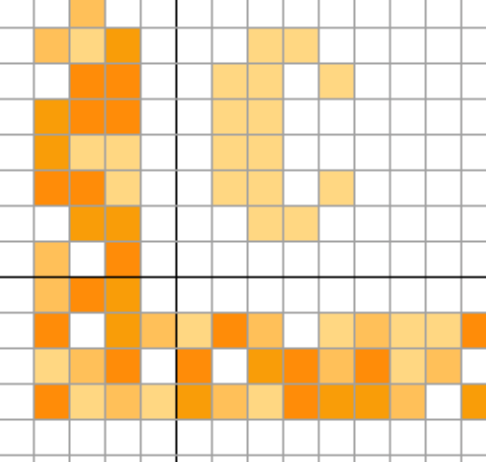 I have a goal of one day making an alphabet of crochet squares so that I can learn more stitches. This would be a good way to use that skill!